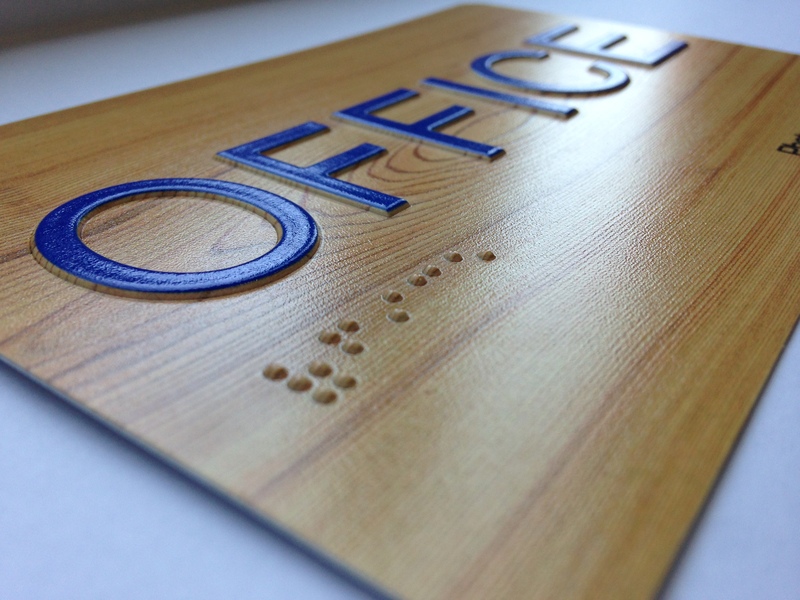 Interested in digitally printing ADA-compliant/Braille signage? Read below for information on our digital Braille printers. 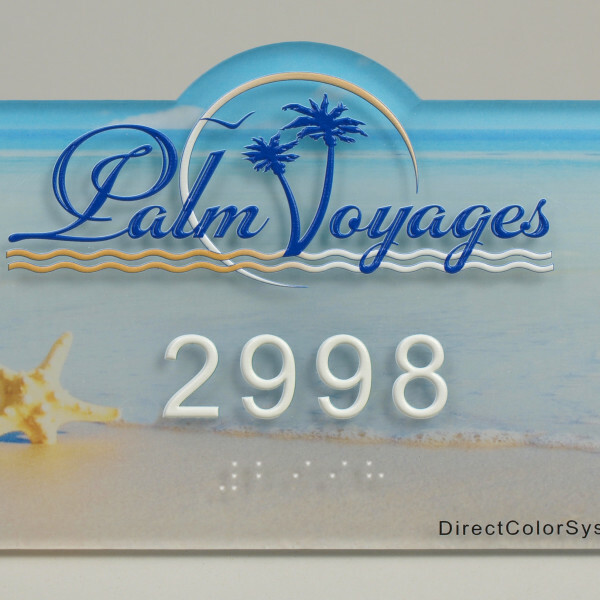 The versatile Direct Jet MVP Classic, 1800z, and 7200z UV LED printers from DCS can now be used to create ADA-compliant Braille signage. 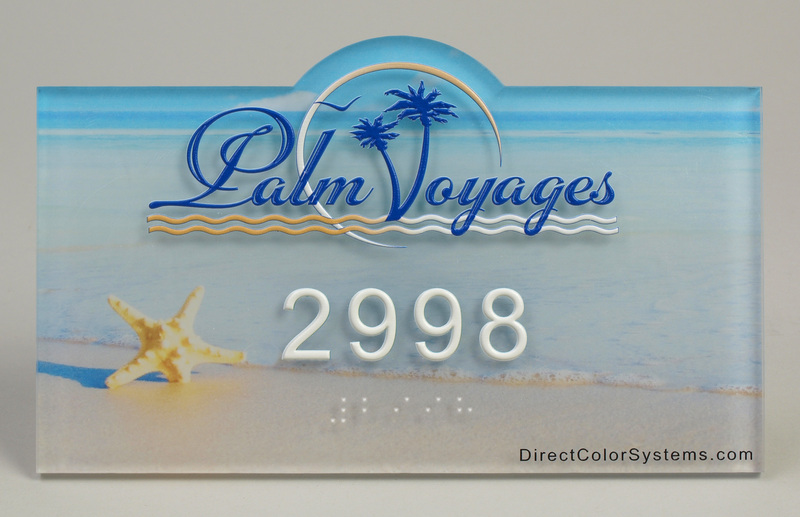 Combine this compact, versatile printer with DCS's Color Byte software, add-on ADA Module and InkMark™ UV Metal Matte-Finish substrates, or standard Cast Acrylic using our Adhesion Promoter to quickly and economically create signage that complies with federal ADA guidelines* via a DCS patented UV printing process. Other substrates can be used but will require testing for compliance and/or receptivity and adhesion by the end user. 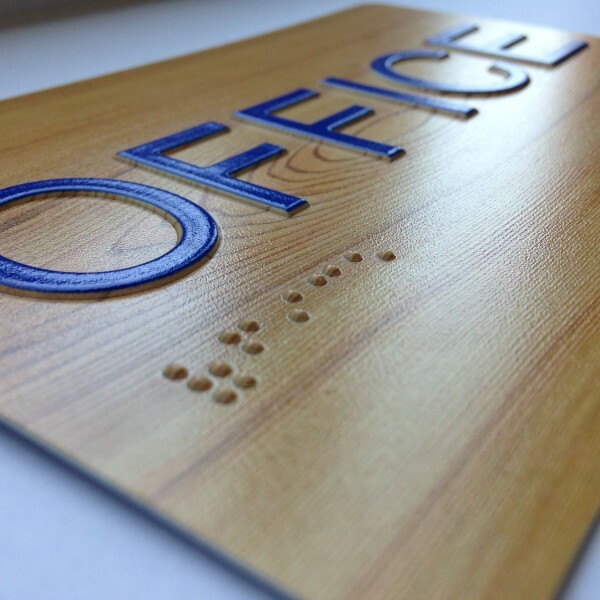 DCS manufactures Braille sign printers that offer users the unprecedented option of either first-surface or second-surface graphics when creating raised-texture signage on acrylic substrates. 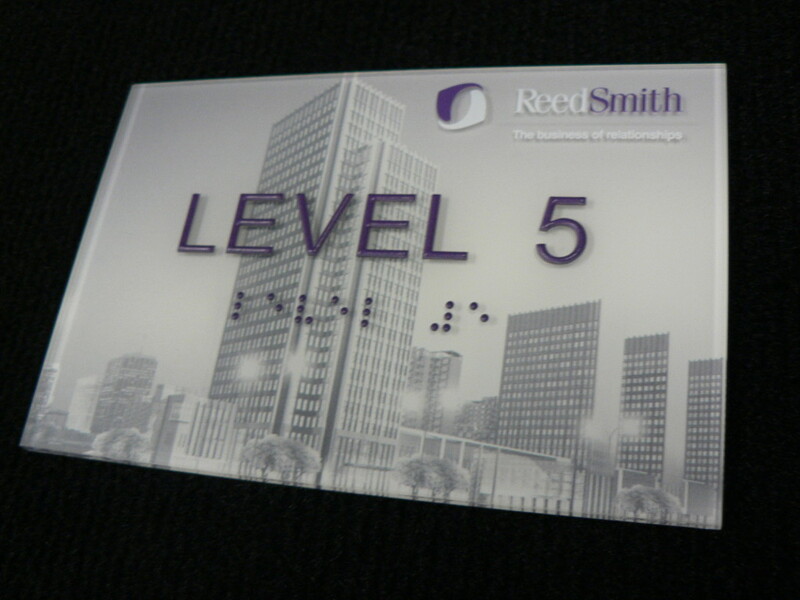 Standard 6" x 8" signs can be output in less than 4 minutes, with a full digitally printed background, raised letters and Braille dots.